September’s calendar in 1972 made a Friday of September 22, just like ours today. 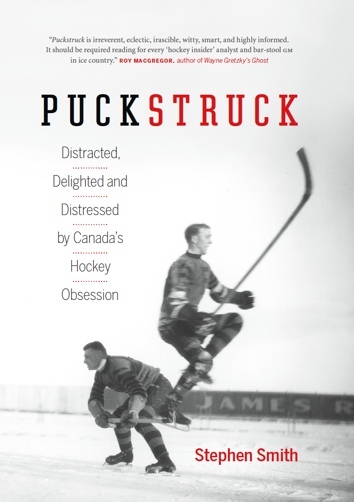 Back then, Canadians and Soviets were playing hockey again after a two-week hiatus. 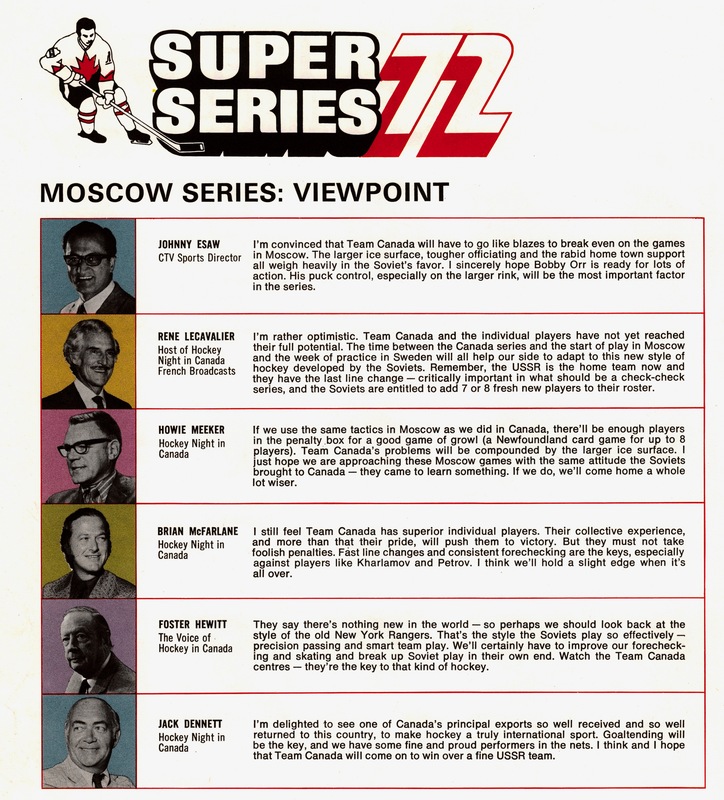 Maybe you remember: the upstart Communists had dominated the Canadian leg of the eight-game series, winning two, losing one, tying another. Home in Moscow, they scored five third-period goals in a 5-4 win at the Luzhniki Palace of Sports. Broadcasters also weighed in (above) on what they saw for the final four games. Johnny Esaw would, of course, be disappointed along all the rest of Canada: Bobby Orr wasn’t ready for any action, let alone lots of. Brian McFarlane got it just about right: Canada’s final edge could hardly have been sliced slighter. Most interesting, though, is Howie Meeker having his tetchy say. Nothing in here about winning. Ever the teacher, he just hoped for a Team Canada that would be returning home smarter about how to play the game we so desperately like to claim for our own. Hard to say, still, 45 years later, whether he got his wish.